Product Details - Ingredients-Yak and Cow milk Salt Lime Juice Nutritional Facts: Crude Protein- Min 59.2% Crude Fat: Min 5.2% Moisture- Max 10 % Fibre-Max 5.9% Nutritional Fact - Crude Protein- Min 59.2%, Crude Fat- Min 5.2%, Moisture -Max 10 %, Fiber - Max 5.9%, Suitable- Small Dogs, Use -These healthy treats are bite-sized natural treats for dogs. 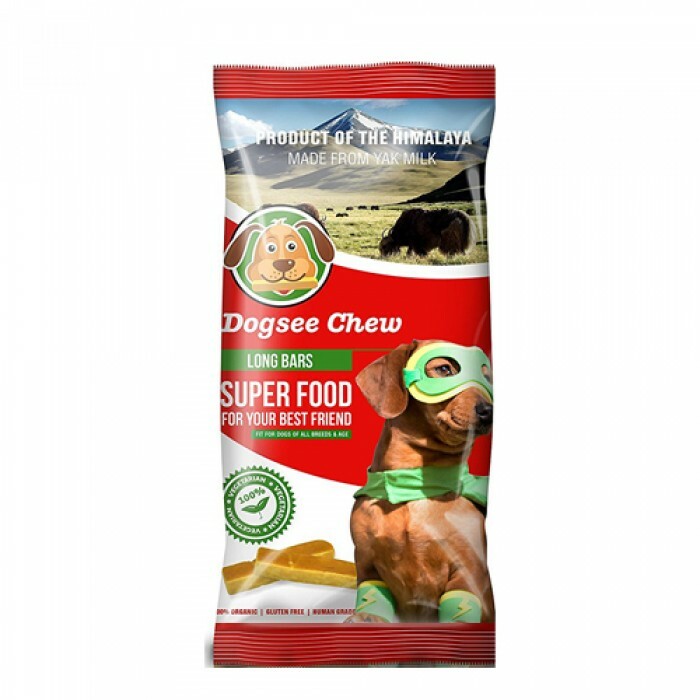 Product Information - Dogsee Chew products are healthy, all natural, long-lasting dog chew treats made of hardened milk.These are excellent and unique dog chews for dogs of all sizes and ages. 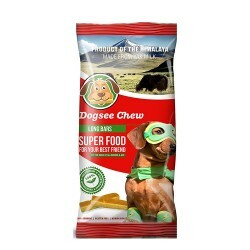 The recipe for Dogsee Chew treats was born out of an ancient recipe for hardened yak milk called churpi. The treats are made using traditional methods with yak and cow milk, and all natural products with no preservatives or binding agents. The cows and yaks graze on open grasslands or are brought fresh cut grass by their families, and are never given hormones, antibiotics, or other chemicals. Treats are also gluten-free. The amount of salt included in the creation of these chews is negligible and the fat content is less than 1% of the whole product. They are also high on protein content. Benefits-100% healthy and vegetarian treats for dogs. Big dogs like Labradors and retrievers can enjoy these treats for long hours. Manufactured from pure yak/cow milk, hence are very healthy treats. It has about 60 % protein content and less carbs. Highly recommended by vets. Long-lasting Dental chews for dogs.